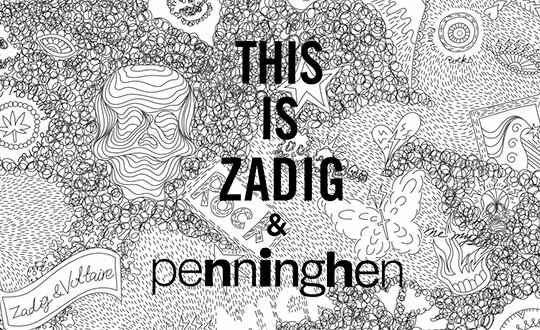 To celebrate the 20 year anniversary of this famous fashion brand, Penninghen had place of honour in over 50 Zadig & Voltaire boutiques around France. 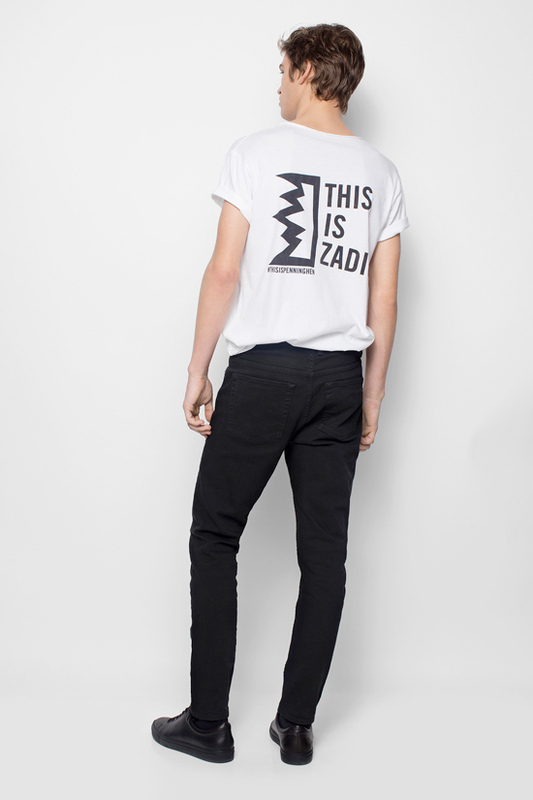 For this particular partnership a design workshop was set up and 25 of our 3rd and 4th year students (within the Graphic Design Art Direction program), supervised by Creative Director and Penninghen teacher Antoine Leroux-Dhuys & assisted by Tristan Bagot (2014 graduate), worked closely with Zadig & Voltaire’s Creative Director Cecilia Bonström. The aim was to create and develop a new visual reinterpretation of the brand’s iconic and emblematic artworks, giving a creative twist to the brands « must-haves ». Design proposals from Joséphine Gläser, Charlotte Gontier, Salomé Lelièvre and Léa Lepetit (3rd year students), and Zhang Jing and Julia Menager (4th year students) were selected, resulting in six distinct design items (jacket, jumper, bag, T-shirts…) all signed off with the tagline « This is Penninghen & Zadig ».